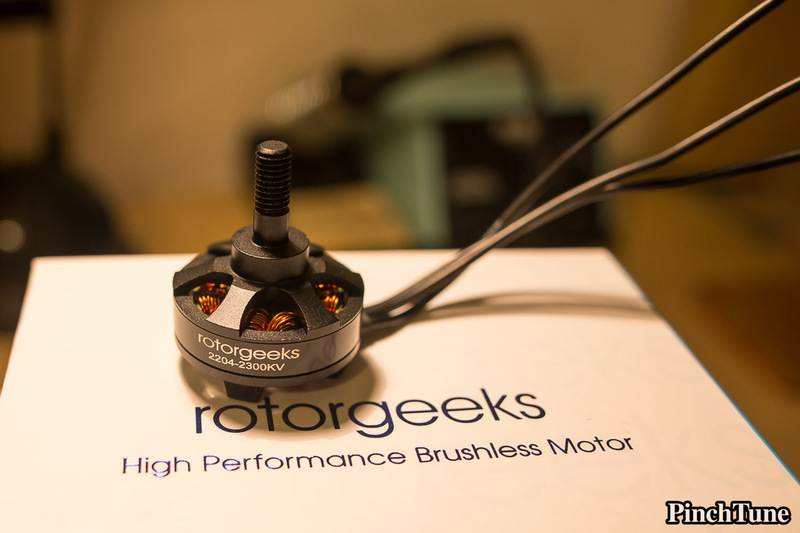 Here are some nice photos of the Rotorgeeks 2204 2300kv motors. I just received these brand new multirotor motors for my new Alien 5 FPV frame build. I couldn’t be more excited. I’ve been flying Cobra 2204 2300kv and 1960kv motors for the last year and I wanted to try something different. The Cobras are great, but the only way to learn new things is to try new things. 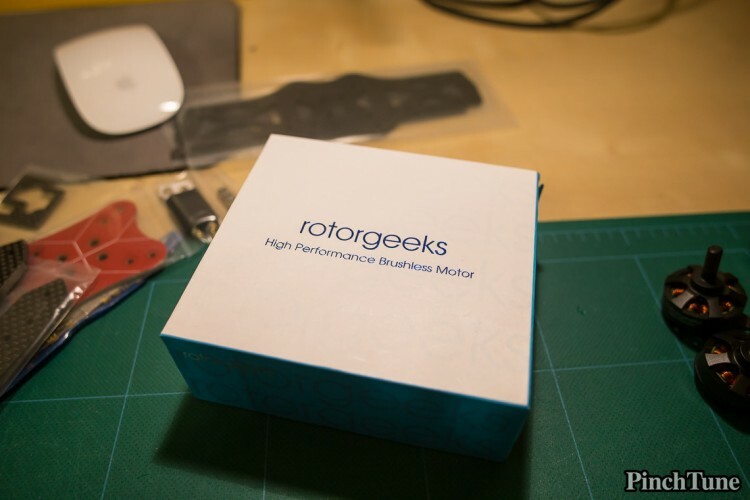 Enter the Rotorgeeks motors. 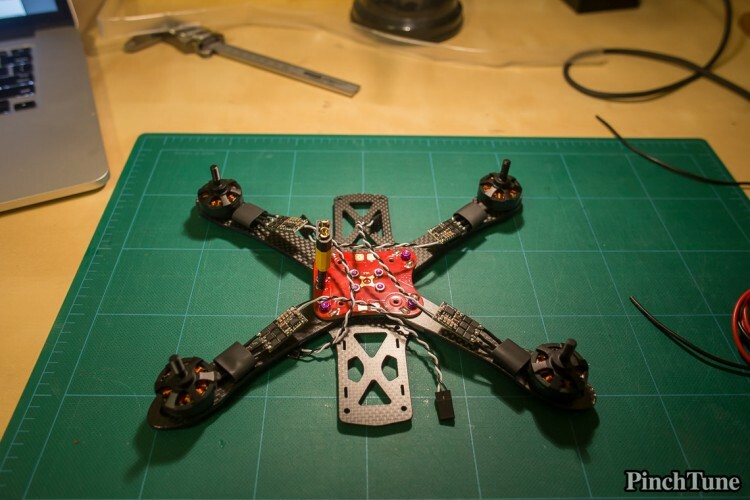 My first mini quad build sometime back, a Blackout Mini H Quad 5 inch, had Rotorgeeks 12A ESCs. They were excellent ESCs for that time period and I always liked Rotorgeeks’ service, so I’ve naturally gravitated to them for different things since then – Although I do buy from just about every good FPV RC shop imaginable. I first heard about the Rotorgeeks 2204 2300kv motors from my local flying buddy. I was a little hesitant at first because I like the Cobra motors so much. Regardless, I ordered 5 motors (I always like to have at least one spare) from Rotorgeeks during their Black Friday Sale. This was when only a small batch of them had been out and no proper independent tests had been done. This would be a pre-order since the motors wouldn’t be expected to arrive until close to Christmas. During the holiday rush of shipping all these motors out, they accidentally left my spare motor out of the package. It turned out to be a funny story when I wrote them about it. Turns out they had 1 left over motor at the end of the day and were trying to figure where the heck it was left out. When I wrote in they were like, “Phew. Mystery solved!” Haha. No worries because this was only my spare and I didn’t need it right away. That said, they immediately shipped it out. Like I said, their service is excellent and they make things right. The key to the Rotorgeeks 2204 2300kv motors is the build quality. The aim was to create a motor that was a true 2204 (The Cobra 2204 is actually a 2205, figure that) yet still perform as well, or close to the Cobras. They are hand-wound because they use thicker gauge wire. They also use Japanese bearings NMB bearings. They are also supposed to provide better cooling than other similar motors on the market. When the tests came out, it turns out there are some very interesting points to mention. The motors are definitely better built than the Cobras. The finish is much nicer, the windings are generally better, the wires are thicker and the bearings are smoother. Given they are in fact smaller than the Cobras, they don’t produce quite the same thrust numbers as the Cobra motors. However, reports are already coming in that new adopters are liking them better than the Cobras because they are much smoother. I can tell you that I really love the Cobras, but I did get one batch of 1960kv motors once that ran very rough. For this reason I was never able to completely clean out the flight characteristics and tuning of that particular quad. I still fly Cobras and will continue to do so for the time being, but I’m excited to run the Rotorgeeks motors in my fleet as well. Impulse RC Alien FPV 5 inch quad with Rotorgeeks motors. I’m in the middle of the build right now. I’m in the middle of the build right now, so I haven’t tested them yet. I’ll make sure to either update this story or link to a follow-up story once I get them up in the air. 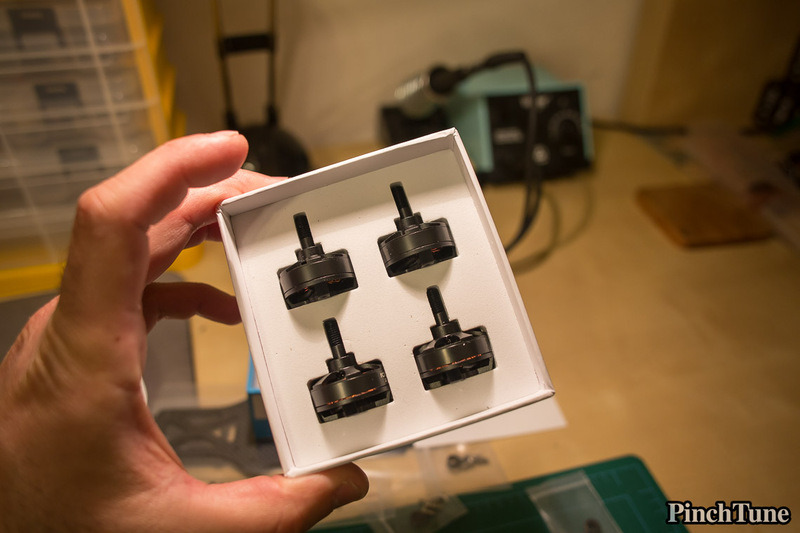 Oh, one more thing, I love the Apple-like packaging of the Rotorgeeks 2204 2300kv motors. Adds a touch of class to the motors. And like I said, these are good looking motors. 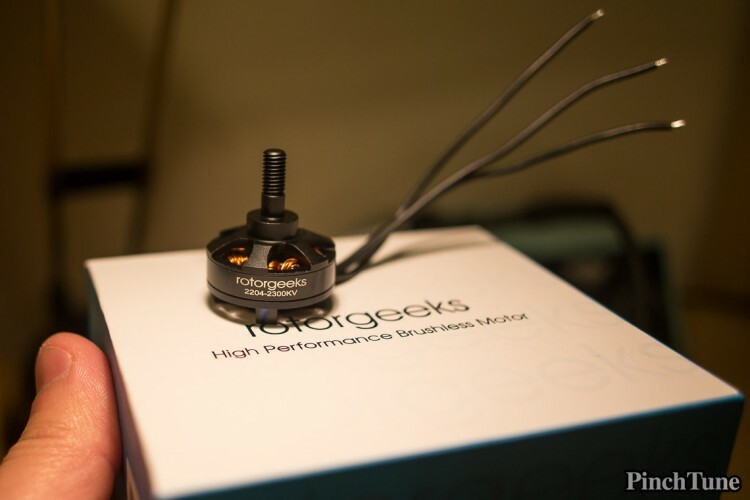 The Rotorgeeks 2204 2300kv mini quad motors can be found for sale at Rotorgeeks. To see some very detailed tests and comparisons, make sure to check out the Rotorgeeks motors tests by QuadMcFly on Mini Quad Test Bench.